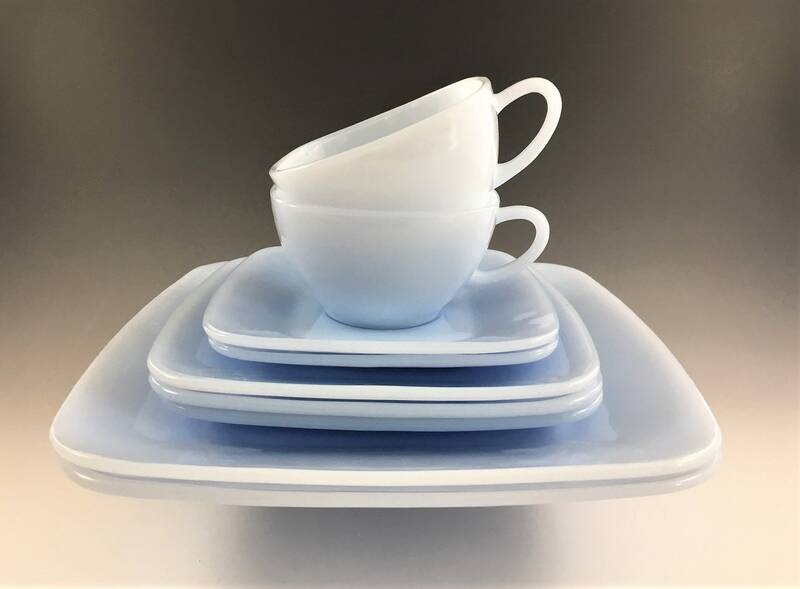 Featured is a beautiful 9-piece collection of mid century dishware from Anchor Hocking. These pieces are from their Fire King line and the Charm Azurite pattern that was produced from 1950-56. 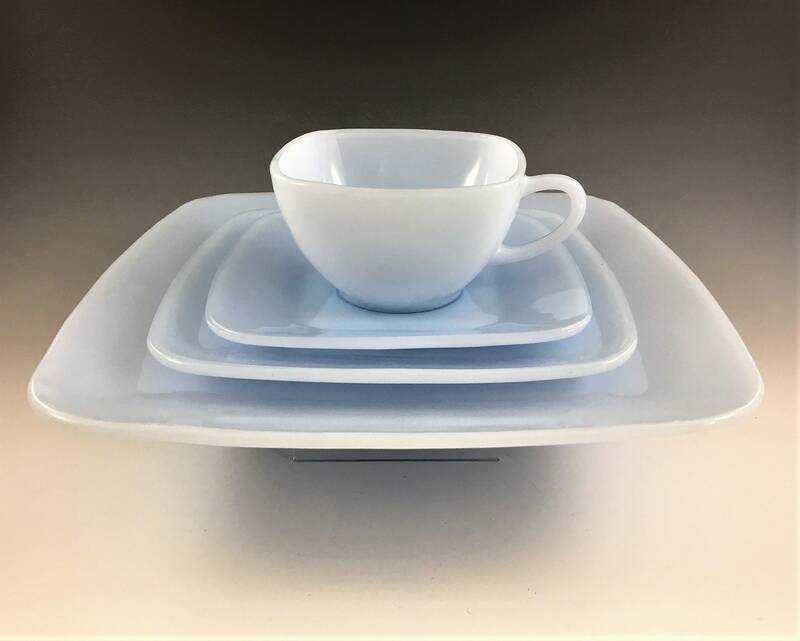 This small set includes 2 cups, 2 saucers, 3 salad plates (6 5/8 inch) and 2 dinner plates (9 1/4 inch). All pieces are in excellent condition, free from any chips or cracks. All 9 pieces offered here for one low price.